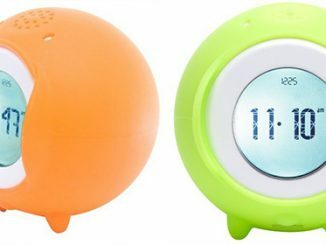 Wake up to your favorite iPod tunes with Edifier’s retro-styled double bell alarm clock. 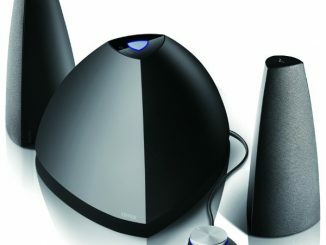 The Clock iF200 Plus has 360-degree omni-directional speakers that produce rich, vivid sound. 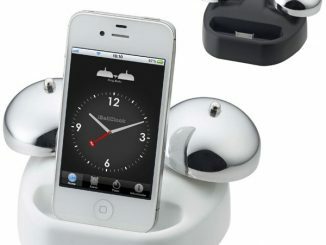 A chrome dial on the back controls the volume and the alarm function is coordinated through your iPod. The iF200 Retro Plus comes in hot pink, black and white. 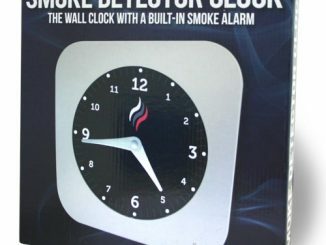 The two Mickey Mouse ears at the top that look like alarm bells are actually the clock’s speakers. 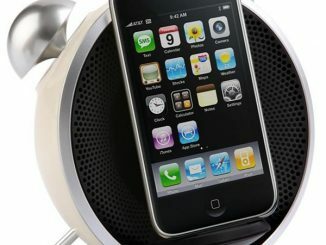 The pair of speakers allows sound to carry not just in one but every direction. 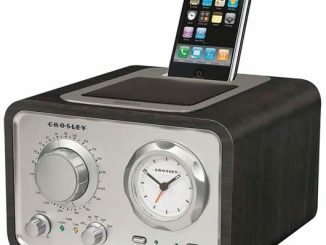 Don’t get all excited and throw any parties or anything, or confuse the clock with a rockin’ sound system. 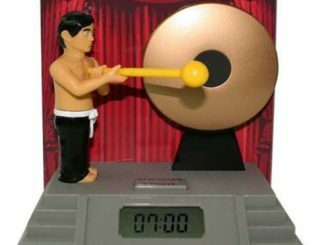 You can, however, get excited about the clock’s compatibility with most every iPod or iPhone, and that you don’t have to be startled by the loud ring of an old alarm clock. 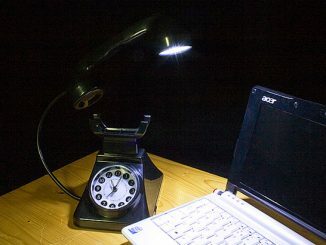 You won’t have to suffer through nerve-grating tick tock sounds, either. 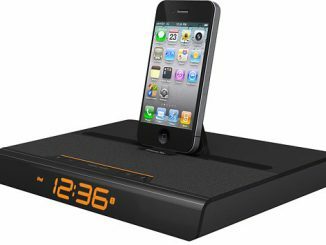 When an iPod or iPhone is docked, the iF200 Plus will automatically switch to alarm and clock mode so that you don’t have to do it yourself. 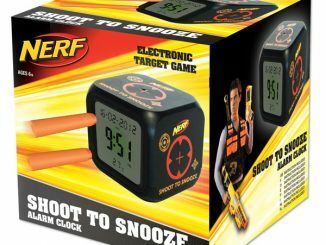 The second most vital feature of an alarm clock after alarming at the right time is the snooze button, which the iF200 Plus does have. 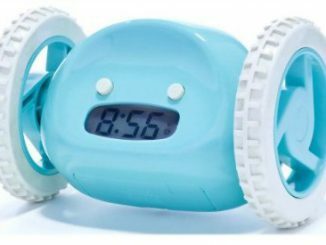 The snooze button is located right on top and will give you nine extra minutes to hide from the world. On its backside, the clock features a high-shine chrome volume dial to give it a bit of functional bling. 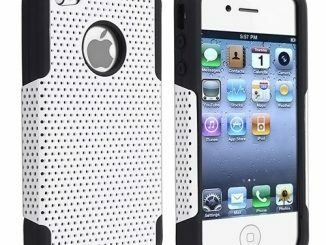 Will the clock charge your iPhone too? Yes! 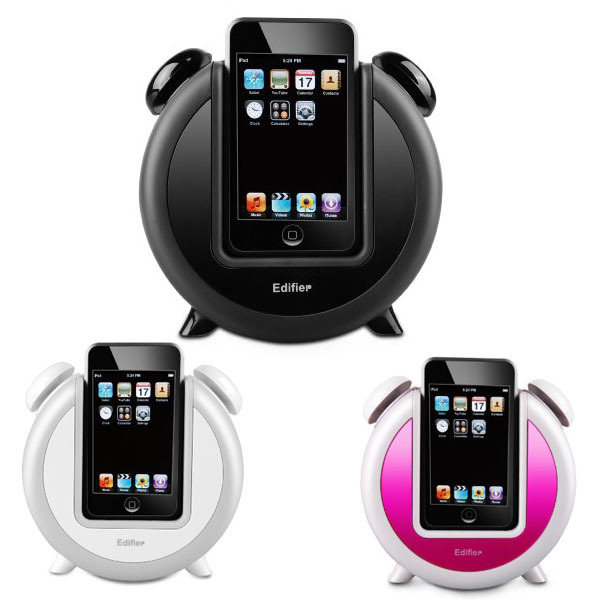 The Edifier iF200 Plus Retro iPod Alarm Clock can be found in all three colors at Skymall for $59.99 and at Amazon.com for $59.99.